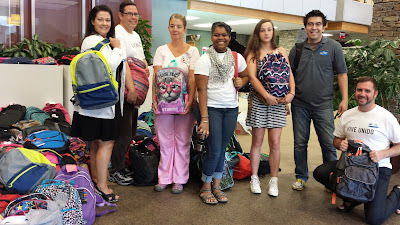 Employees and volunteers of the United Way of Asheville and Buncombe County pick up backpacks at Mission Hospital this afternoon. 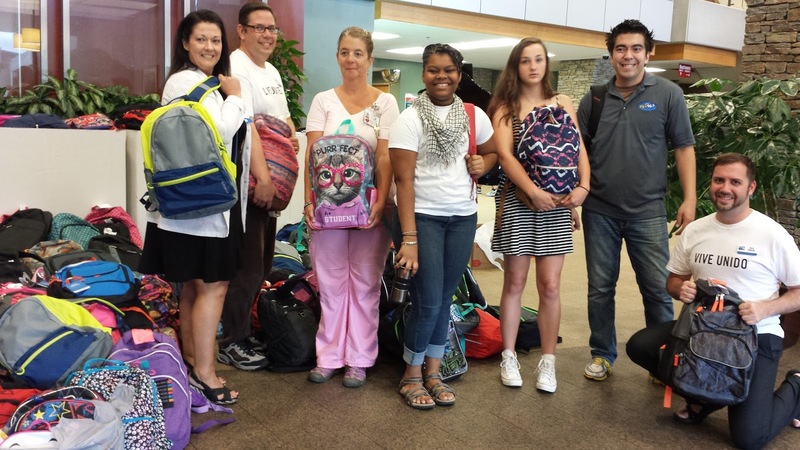 Employees of Mission Health donated more than 300 fully stocked backpacks to the United Way’s annual Back to School Supply Drive. Mission offers staff the option of employee payroll deduction for backpacks and supplies to be purchased, resulting in increased participation the past two years.